Founded by the Teutonic Knights in 1211 and settled by the Saxons as one of the seven walled citadels, Brașov has been one of the most important and flourishing cities in central Romania over the centuries. The historic location of the city at the intersection of trade routes linking the Ottoman Empire and western Europe allowed the city to obtain considerable wealth and exert a strong political influence in the region, while exuding a distinct medieval ambience that has been used as backdrop in many recent films. In present days, the Brașov Metropolitan Area continues to emphasize its economic and cultural heritage, becoming one of the fastest growing cities in the European Union. The city stands out for having one of the densest assemblies of industrial parks in Romania, which have been a decisive factor in attracting foreign investment and contributing to a strong territorial cohesion. Brașov has a long-standing tradition in manufacturing (in sectors such as auto-manufacturing, tractors, trucks, aeronautics, machinery), it has a well-trained labor force, and the best vocational education school in Romania (the Kronstadt School). Industrial development in Brașov started in the inter-war period, when the city starting producing the first Romanian fighter planes used during World War II. 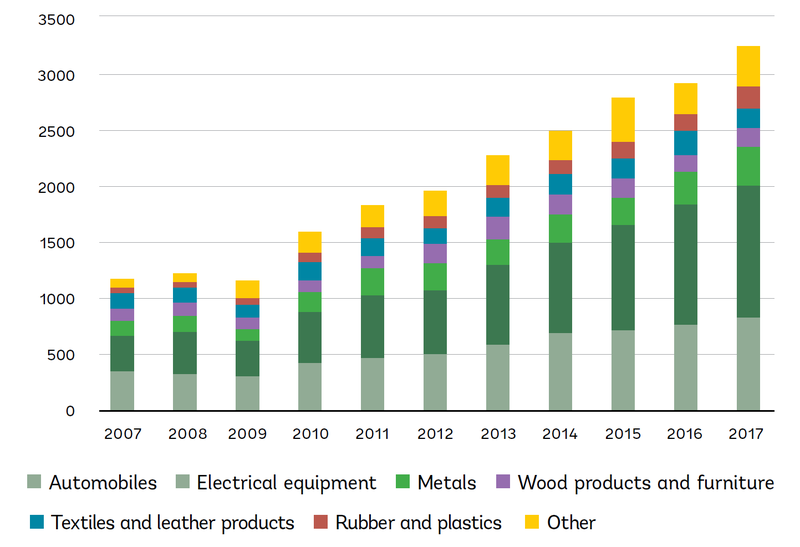 Based on the aeronautics platform that still exists to this date (and is set to manufacture a large number of military helicopters in the coming years), the heavy industry production was strongly accelerated here during the last decades. 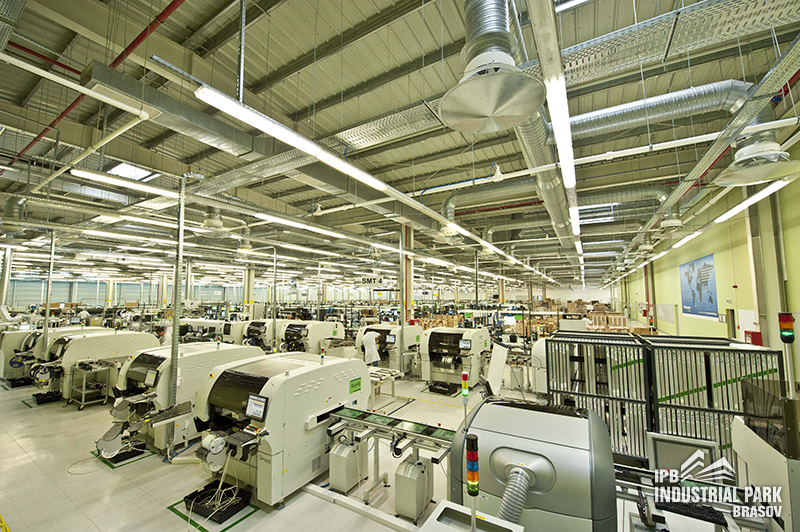 In recent years, the Brașov Metropolitan Area managed to attract a large number of international manufacturers to its industrial base, being one of the most developed industrial cities in the region. Brașov is currently a site for manufacturing aeronautics, hydraulic transmissions, auto parts, trucks, tires, ball-bearings, construction materials, hand tools, furniture, textiles, shoe-wear, wood-processing, and a brewery. Brasov has a long tradition in tourism and rich offer for tourists, being a cultural, religious, business, city break, medical tourism, relaxation, sports, and adventure spot. Banking on its historical and cultural heritage (one of the most important Saxon fortresses in Transylvania), on the most popular sky resort in Romania (Poiana Brașov), and on a number of other tourist attractions in and around Brașov (e.g. Bran/ Dracula’s Castle, medieval fortresses and towns, mountain hiking trails), Brașov manages to attract tourists all year round. Brașov is strategically located in the center of Romania, at a point where three major highways will meet, close to Bucharest and a number of other large urban centers in Romania (Ploiești, Sibiu, Târgu Mureș). 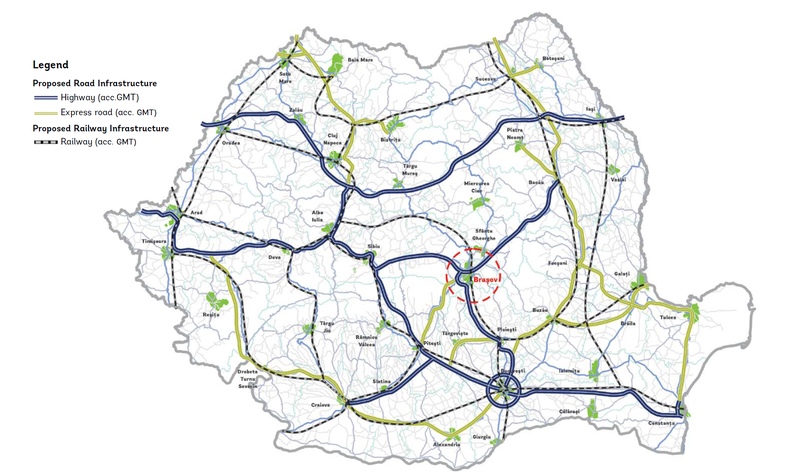 The Brașov County Council is now developing the airport in Ghimbav, which will increase connectivity substantially. Of the 256 largest cities in the EU , Brașov has registered one of the fastest growth rates between 2000 and 2015. 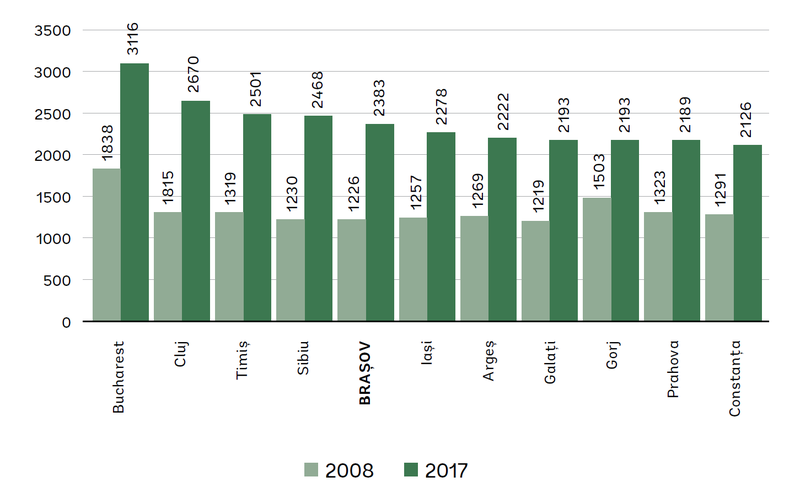 Brașov has actually registered a faster annual growth rate between 2000 and 2015 (8.16%) than Singapore in its period of rapid growth – 7.25% between 1965 and 1980. The Brașov Metropolitan Area has one of the highest densities of industrial parks in Romania, operated both by the public sector and by the private sector. They have been a decisive factor in attracting foreign investment over the last decade and have helped to strengthen territorial cohesion. Overall, industrial parks in the Brașov Metropolitan Area amass over 300 ha of land (10% of the total national stock), the companies hosted by them benefiting from fiscal facilities established by the Ministry of Economy. Brașov has the second biggest area dedicated to industrial parks, after Prahova County (605 ha), and ahead of the Bucharest-Ilfov Metropolitan Area (244 ha), and Cluj County (239 ha). Around 172,300 people were gainfully employed in the Brașov Metropolitan Area at the 2011 Census. 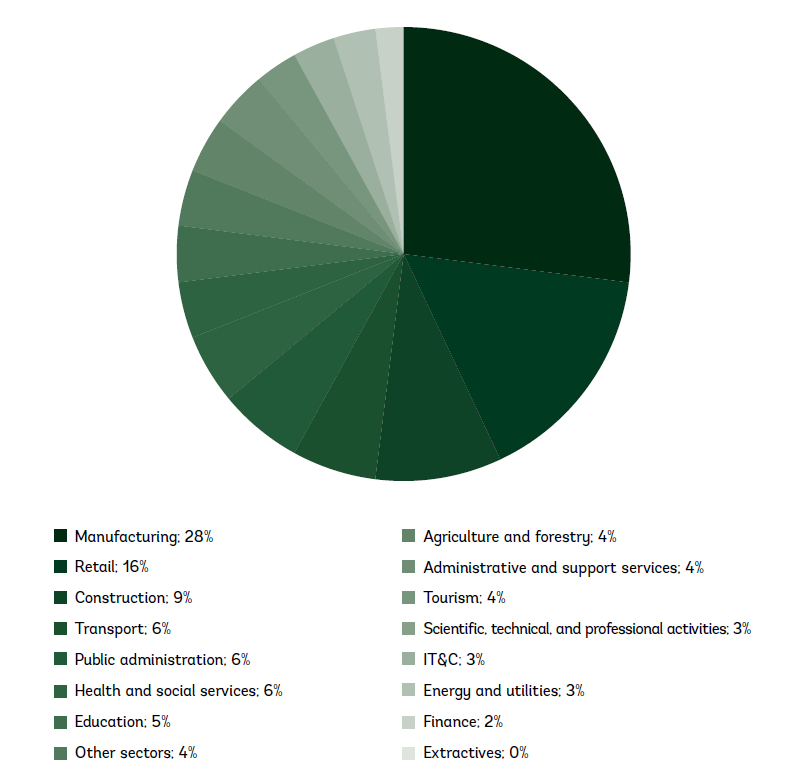 Of these, 87% worked for a private company, 11% worked for the public sector, and 1.4% were self-employed. 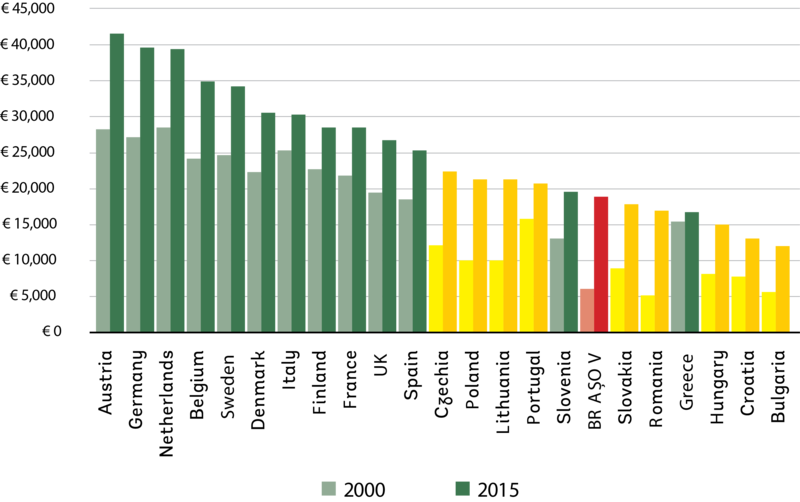 Much of the Brașov labor force works in manufacturing (28%), retail (16%), construction (9%), and transport (6%). In 2017, the average monthly salary in Brașov was 2,383 Romanian Lei (around 530 Euro, or around $600), with a substantial variation between individual sectors. The highest salaries are offered in the following sectors: IT &C (~€1,040); petrochemical industry (~€750); aeronautical industry (~€740); manufacturing of automobiles and auto components (~€715); finance (~€660); energy (~€660); manufacturing of equipment and tools (~€620); and, manufacturing of electrical equipment (~€580). 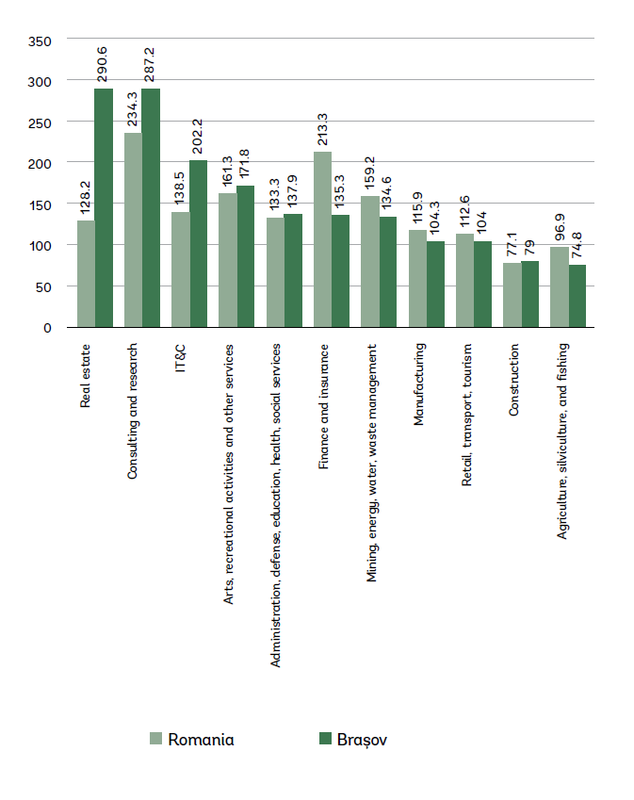 The lowest monthly salaries were offered by sectors such as: furniture (~€258); cleaning (~€265); furniture (~$260); waste collection (~$310); plastics industry (~$315); hotels and restaurants (~€290); extractives (~€300); textiles (~€315); gambling (~€320); food industry (~€325); and, construction (~€325). A survey done by the World Bank at the national level indicates that Brașov is one of the most attractive cities for Romanians. While 2.27% of Romanians live in the functional area of Brașov, 8.53% would like to live there, if they would have the chance. 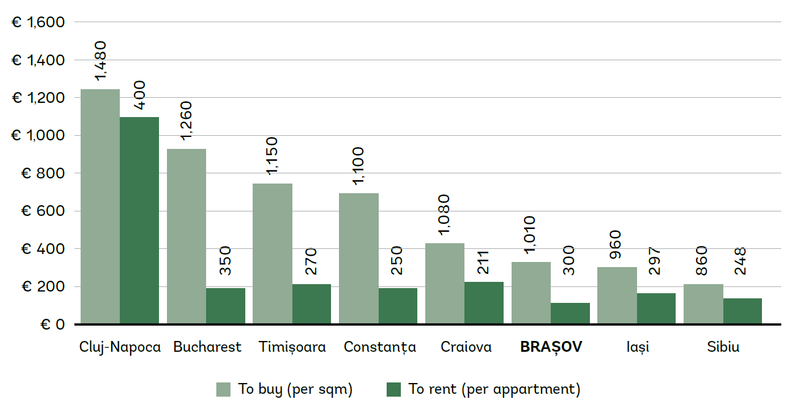 Compared to other Romanian primary and secondary cities, housing and rental prices in Brașov are quite affordable. The cost of living in Romania – especially in secondary cities like Brașov – is approximately 70% lower than in other comparable (industrial/manufacturing-based) western cities from EU Member States (Hanover, Lyon, Bergamo, Zaragoza, Eindhoven, Charleroi) and at least 15% cheaper than other cities from CEE countries (Kraków). Romania has one of the lowest tax rates on the continent: the standard corporate tax rate is 16%, about half the tax you would pay in France, Germany or Italy. Fiscal incentives include tax exemption for the reinvested profit. For companies settling in Brașov, the maximum available State Aid is 37.5 million EUR, and the gross percentage of the state aid cannot exceed 50% of eligible expenditures. Local authorities can also support private investment projects that go above a certain ceiling of job creation and investment values, within the framework of the local de minimis aid schemes. The Municipality of Brașov applies such a scheme, reducing the property tax by 50% for companies that invest in the tourism sector. 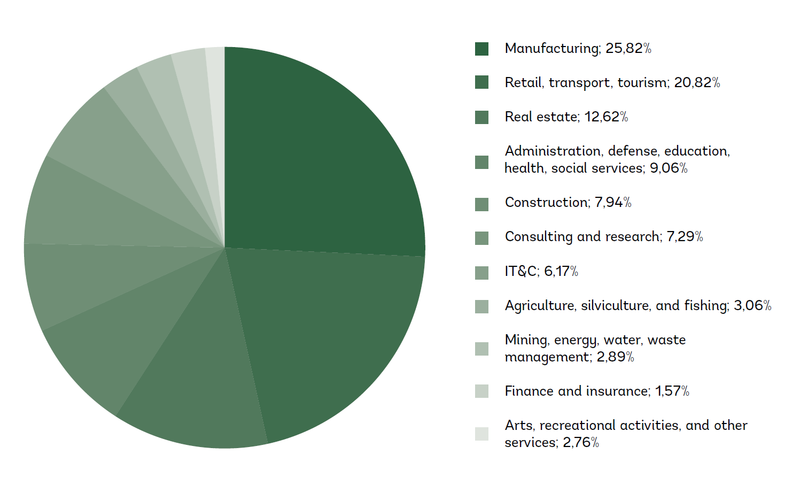 The main sectors that have driven the Brașov economy in recent years are: manufacturing (particularly auto manufacturing); tourism; real estate; and, construction. 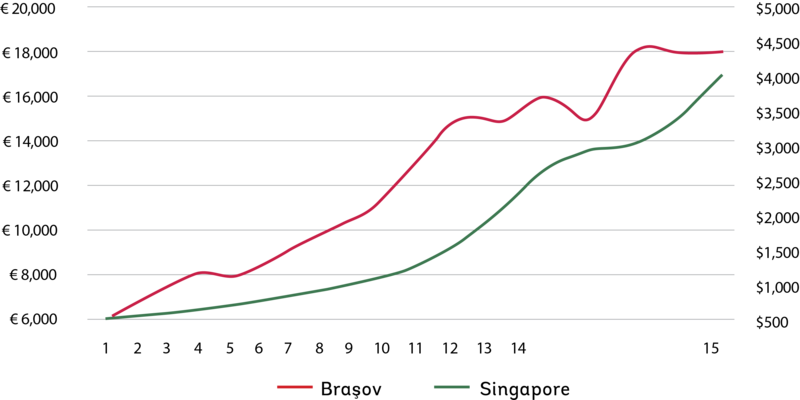 Real estate, R&D, IT &C, and entertainment have registered the most dynamic growth in recent years. Main exports include: electronical equipment, automobile components, metals, wood products and furniture, rubber and plastics. The strategic location at the cross-roads of major thoroughfares in Romania, the already existent investments in manufacturing of electronics and automobile components, the long-standing tradition in manufacturing, and the best vocational school system in Romania (the Kronstadt school), make Brașov an ideal investment site for other manufacturing companies. Brașov is also one of the most popular tourist destinations in Romania, and could benefit from further investments in tourism infrastructure. For example, there are few major hotel chains present in the region. 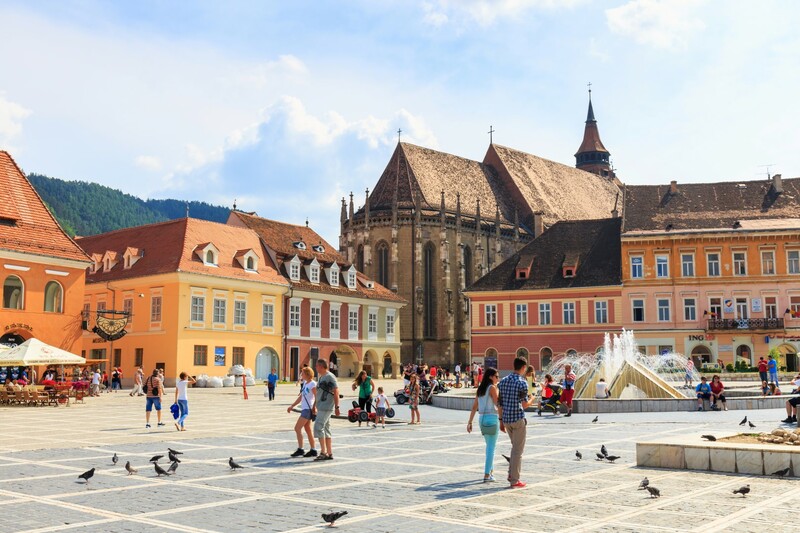 Brașov is also one of the most attractive cities in Romania, and its potential for population growth make it a good site for real estate investments. 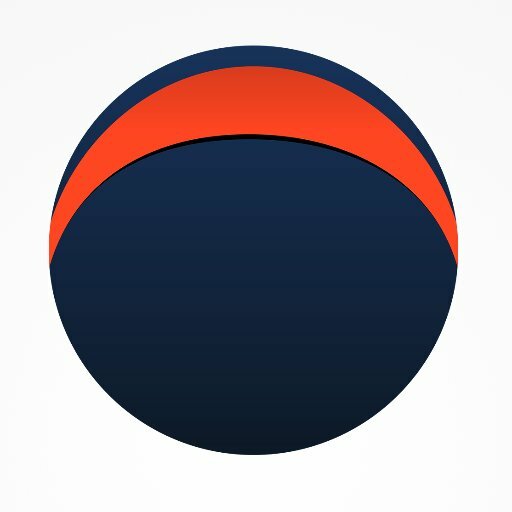 The IT &C sector has gotten stronger in recent years, and Allview, the largest Romanian cell-phone manufacturing company was founded and operates in Brașov. Our pledge to you is simple: we’ll make it happen. Contact us to begin. Romania Investment Solutions Experts – RISE Consortium is a global network of individuals, companies, and projects. We provide expert investment solutions and integrated advisory services for your business needs.